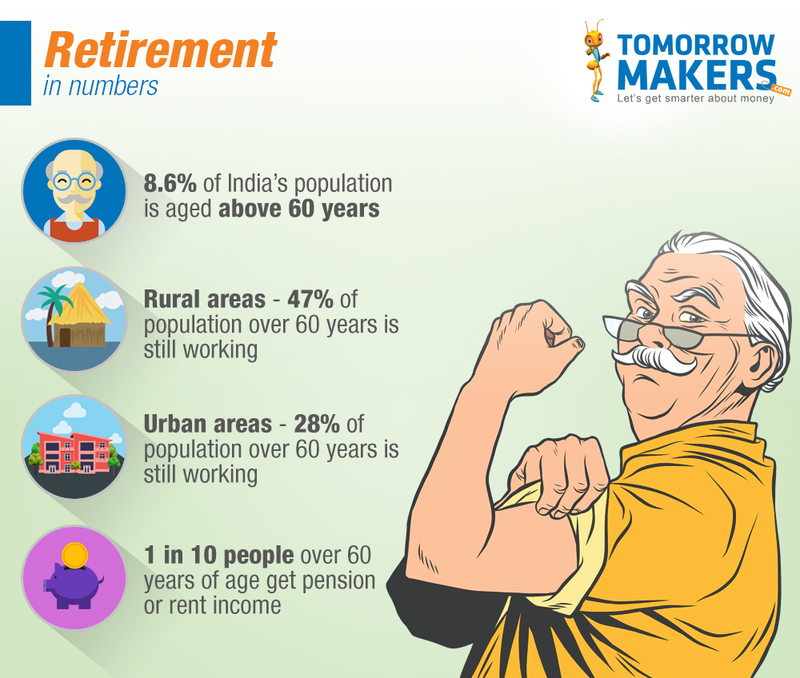 With a little pre-planning, you can live a comfortable life after retirement, even if you have no pension. Kolkata-based Bolin Banerjee retired a couple of years ago. The 62-year-old is enjoying his second innings. His son Rs. 40,000. He has a decent health cover of Rs. 15-lakh pay-out from his term insurance. At the age of 62, Bolin is fighting fit. Besides borderline hypertension, he has little to worry about on the health front. He may easily live another 25 to 30 years. The question that arises now is whether Bolin’s pension money will be enough for the next three decades. On the bright side, at least he gets pension. Private-sector retirees may never have a regular pension income. This would be the case for Bolin’s son, Vikram could even end up living longer than his father, considering that life expectancy in India is rising. Census data says that five years are added to the life span of an individual every decade. This is due to rising incomes, constantly improving health care facilities and affluent lifestyles.